My story is based on the extraordinary life of Richard Burton; it is a story that runs to the heart of Empire and travel. 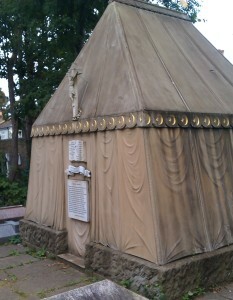 Beginning at the foot of his peculiar mausoleum in the form of a Bedouin tent in a Catholic church, my tale of the great and enigmatical explorer becomes a journey to the edge of the known world. 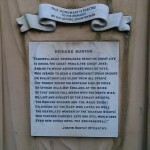 Burton was an Englishman fluent in over 40 languages, with the support of the The Royal Geographical Society he led an expedition to the true source of the Nile; he was the first non-Muslim to enter the holy city of Harar and he completed the Haj from Suez to Mecca. ……..Burton turned exploration into a practice of human freedom. These stories are complemented by the soaring, melancholic, and yearning vocals of the Iraqi Kurdish singer Nawroz Oramari. ‘Tongues of Flame’ was one of the highlights of a great storytelling year in Cambridge…. They [the audience] were enthralled by the vibrant colours of the piece, and the masterly crafting of the material….. Its picture of a colonial past has an immediacy for modern culture and the 21st century legacy of British colonialism…Best of all it held me riveted, laughing, appalled – what more can I ask from a storytelling show? I heard you on In Touch this evening on radio 4 – I enjoyed your interview and your short story. Your storytelling style is captivating. Will your tour be extended to Oxford? thank you Fran, I’m glad you enjoyed the interview! 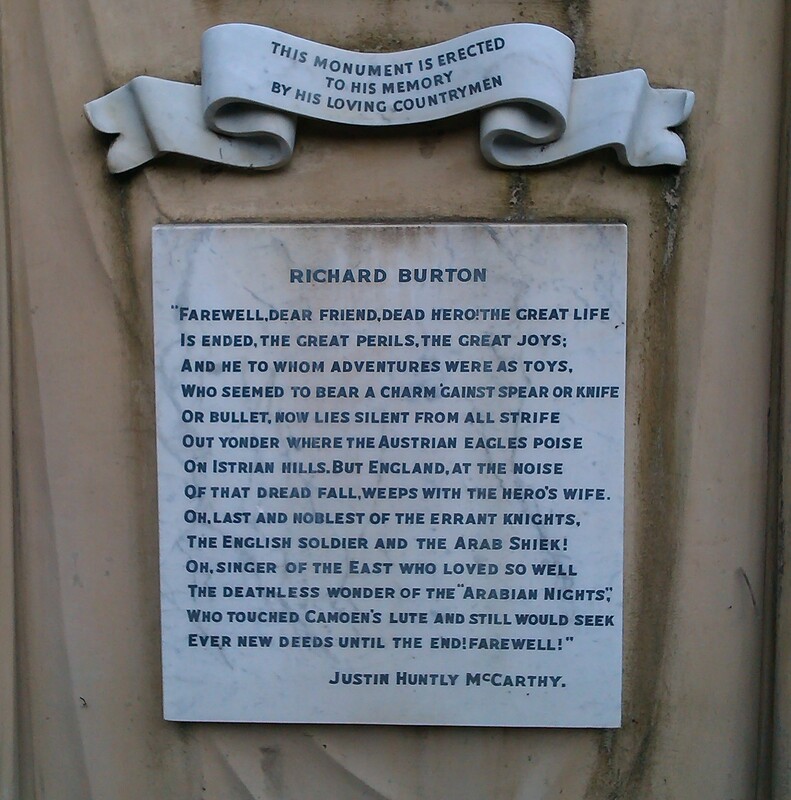 I really wanted to bring Tongues Of Flame to Oxford, because Burton was admitted to Trinity College in 1840. He was sent down in 1842, hired a pony and trap and drove it, trampling, al over the famous flower garden, blowing a tin bugle and blowing kissed to the kitchen women! 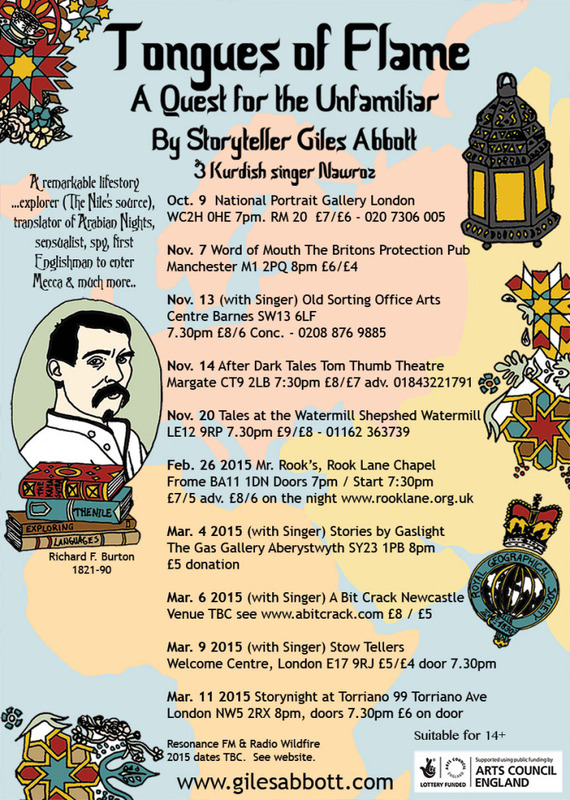 Oxford Storytelling Museum was part of our original grant application and they said they wanted me to perform there. They just got in touch with me again (Jan ’15) and we may be able to arrange a gig. hey Fran, I just heard from the Story Museum and we may be able to arrange a gig before the tour’s timetable runs out! Very interested in your Burton Tongue of Flame tour. We are based in East Sussex, very close to the International School of Storytelling so a village already immersed in the power of stories. We would like to stage your event. What do you think and how much is your fee as we would organise everything, venue, tickets etc. Get back to me as soon as you can with your thoughts.